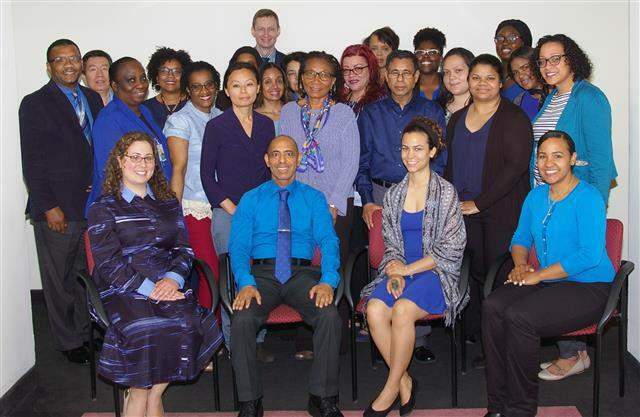 BCHN went blue to celebrate Men's Health Month in June. 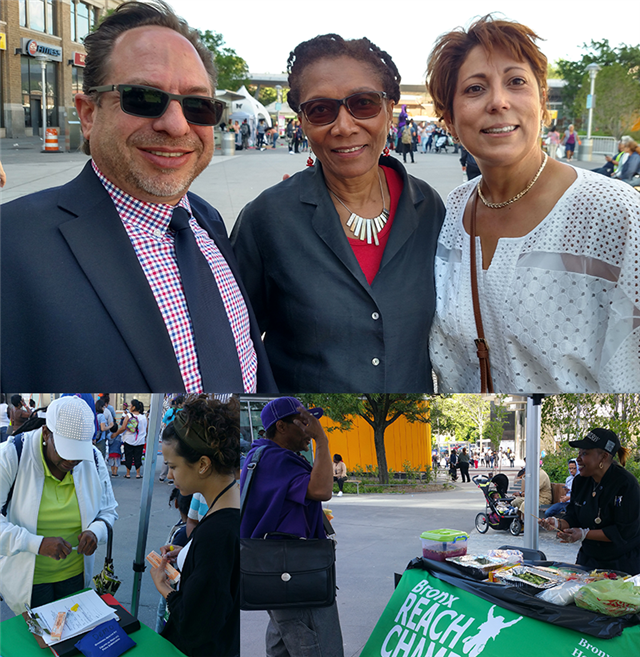 On June 2, a kick-off event was held at the Fordham Plaza transit hub to celebrate the launch of the Grow NYC Greenmarket. During the Friday evening event, BCHN community health worker Yaritza Holguin (bottom left) offered Naloxone training, while Chef Geneva Wilson (bottom right) gave a nutrition demonstration. Also pictured above (top) is BCHN chief executive officer Eleanor Larrier with Fordham Business Improvement District board of directors chairperson David Rose and executive director Wilma Alonso. Now running weekly on Wednesdays from 8:00 AM to 4:00 PM, the Fordham Greenmarket will offer an array of fresh, locally-grown produce and baked goods, and more! 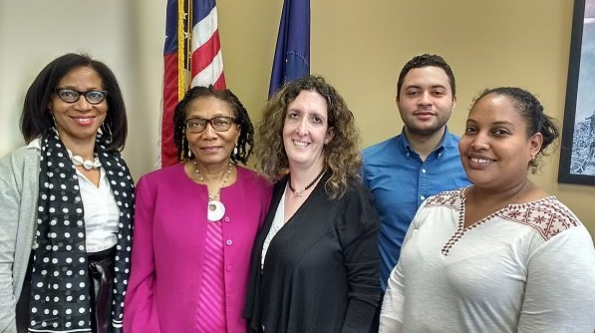 On May 31, BCHN chief executive officer Eleanor Larrier represented the Bronx REACH Champs coalition during a meeting of REACH grantees at U.S. Representative Joseph Crowley's office in the Bronx. Also on hand to meet with district representative, Elana Schwartz, were Bronx Health REACH project director Charmaine Ruddock, and representatives from The Bodega Association and Transportation Alternatives. On June 17, BCHN community health workers Pedro Gonzalez and Cindy Mendoza offered nutrition education and blood pressure screenings at the annual community health fair sponsored by the Williamsbridge NAACP and Bronx alumnae chapter of the Delta Sigma Theta Sorority. 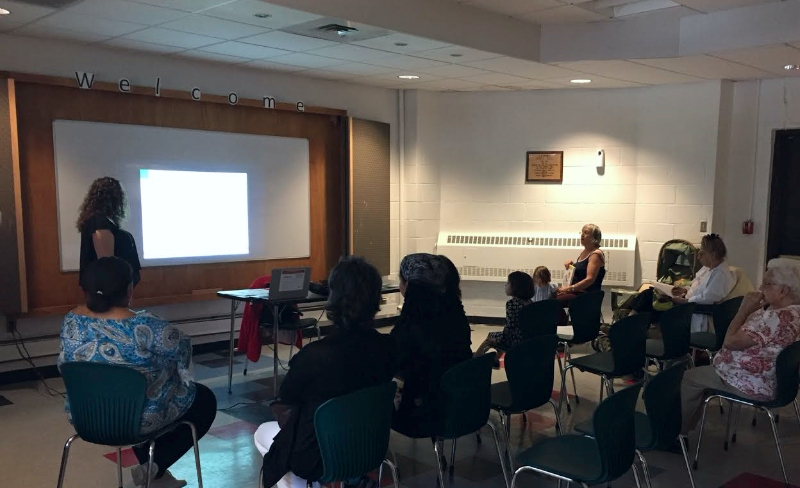 On June 2, BCHN health educator Arousiag Markarian led a nutrition workshop at Pelham Bay Library focused on making smart food and beverage choices. News 12 was on hand to cover the event. Check out their story in the video below. A patient walking group relaunched this summer at West Farms Family Practice (WFFP), a member of the Bronx Community Health Network. 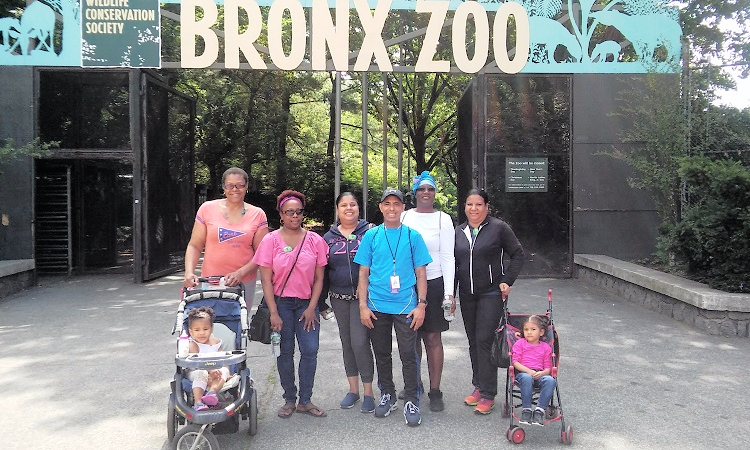 Led by community health worker Pedro Gonzalez, the group walks every Thursday morning from WFFP alongside the Bronx Zoo to its entrace at Southern Boulevard and 185th Street. On June 8, a number of BCHN team members volunteered during the 7th Annual Meg Charlop Day of Service. Activities took place throughout the day at several sites, including Part of the Solution (POTS), Bronx River Alliance, Williamsbridge Oval Recreation Center, Children's Hospital at Montefiore, Serviam Gardens and DeWitt Clinton High School. 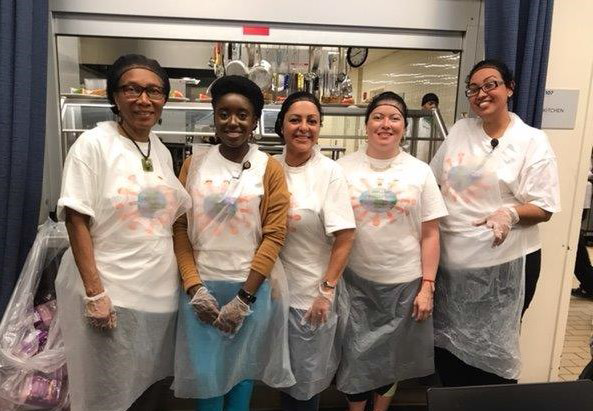 Pictured above, serving the homeless at POTS, are BCHN chief executive officer Eleanor Larrier (far left) and patient navigator Maynawatie Saywack (far right). Mango Grocery & Meat Market owner Sandy Ortiz welcomed a patient walking group from University Avenue Family Practice during Bronx Week, and introduced them to the healthy changes his store made over the past year. 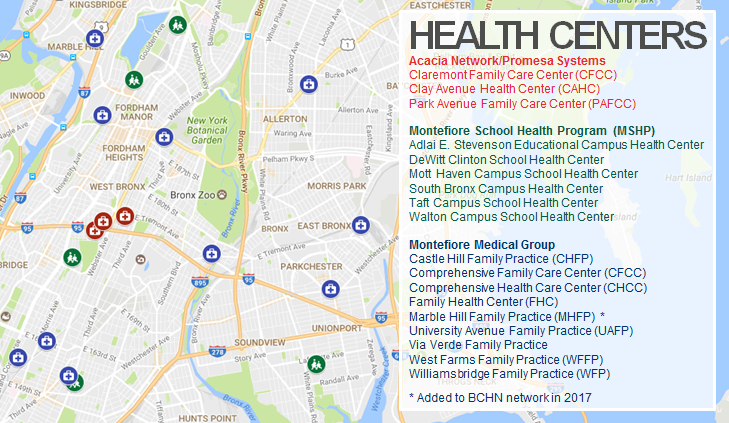 The Healthy Store Initiative is collaboration between bodega owners, Montefiore Health System and the BCHN-led Bronx REACH Champs coalition to increase access to healthy food and beverage options at local bodegas, corner stores and supermarkets. 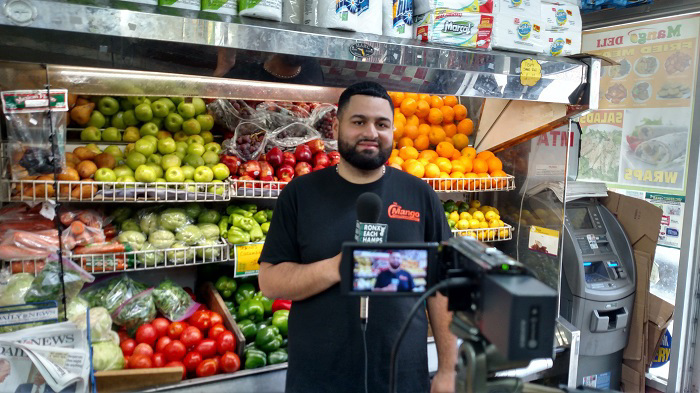 In the video below, Mr. Ortiz highlights the changes at Mango Grocery & Meat Market, located at 101 E 196th Street. On June 13, BCHN health educator Arousiag Markarian and community health worker Yaritza Holguin were among the graduates of the Shape Up NYC program honored during a ceremony at the historic Arsenal Building in Central Park. Pictured with the newly certified instructors is New York City Department of Parks and Recreation commissioner Mitchell J. Silver. 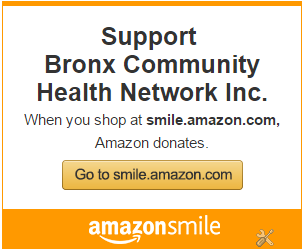 "I am excited to be able to lead free Shape Up NYC classes that will help Bronxites become healthier," Ms. Holguin said. 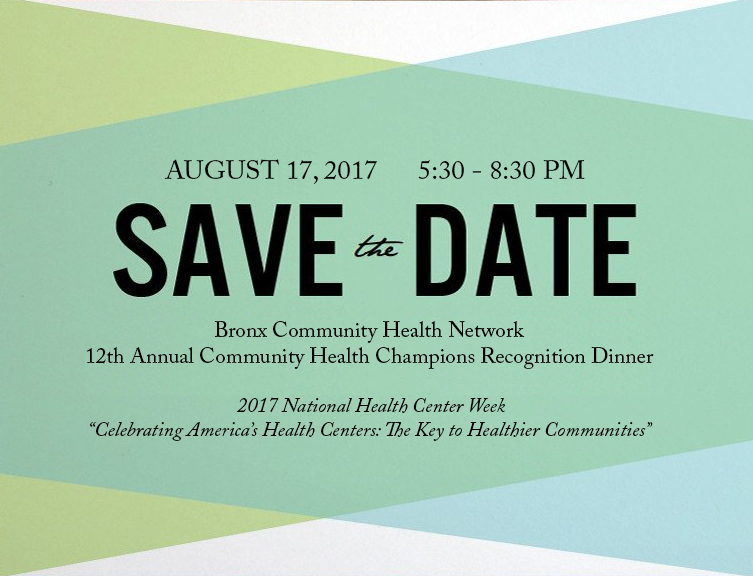 Join BCHN for the 12th Annual Community Health Champions Recognition on August 17 at 5:30 PM. The event is held each year during National Health Center Week. 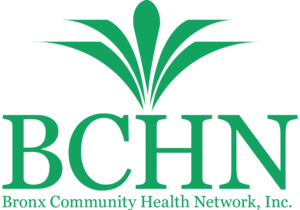 Join BCHN for our annual Health & Wellness Fair on Saturday, September 16 from 10:00 AM to 3:00 PM. 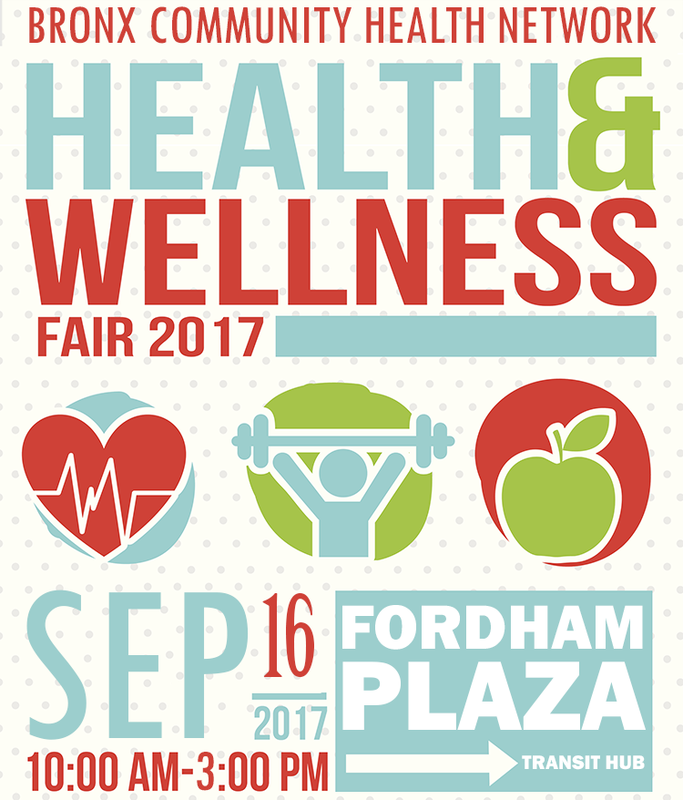 In addition to health screening and education, the event will also feature free live music from popular salsa band, Grupo Descarrilao.